c.1950. 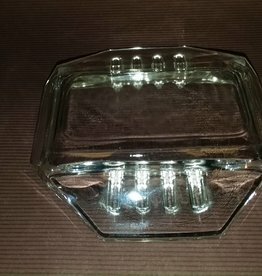 Clear glass, 8 sided ashtray. 6 slots. Heavy glass in very good condition. 5x5"
1950's. Souvenir label. 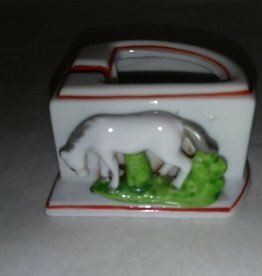 Porcelain ashtray. Horse grazing. Stamped: made in Japan. Very nice condition. 3x3x1.75"
1950's. 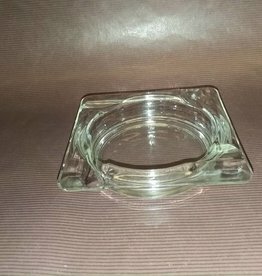 Square clear glass cigar/cigarette ashtray. Holds 4 cigarettes/cigars. Good clarity & condition. 4.25"
M.1900's. 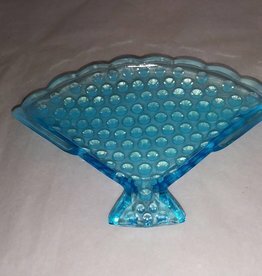 Blue hobnail fan shaped ashtray. May be a dresser dish. Nice condition. 5.5"
1950's. 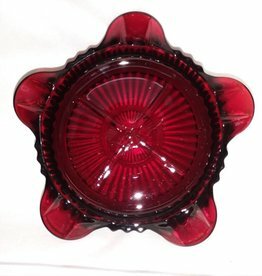 Ruby red ashtray. Holds 5 cigarettes. No maker's mark. Beautiful deep ruby red color. Very nice condition. 4" diameter. 19th century. 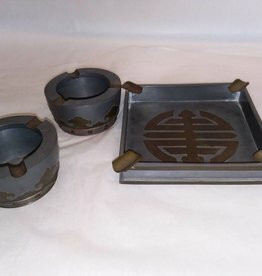 Pewter & Brass 3 Piece ashtray set. Made in Hong Kong. NGAN WINSHING. 1-6.25"Sq & 2-3.5"Round. Very nice condition. All 3 marked on bottom.